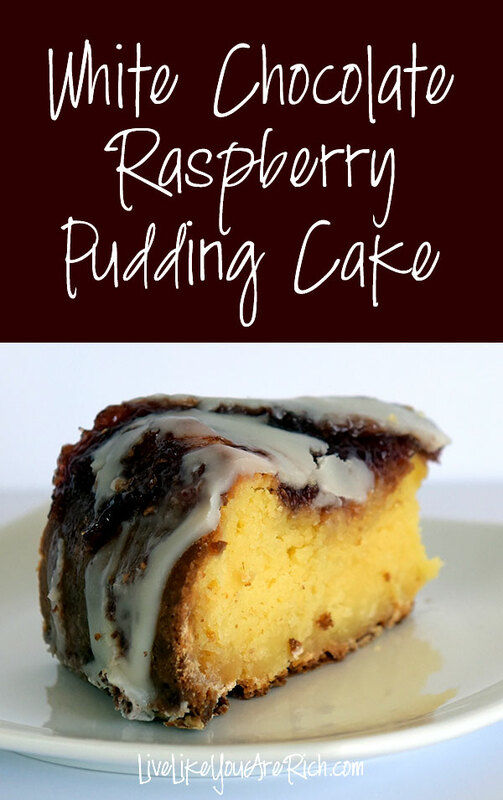 This White Chocolate Raspberry Pudding cake recipe is amazingly delicious! I highly recommend at least trying it once. If you do, I can almost guarantee you’ll be wanting to make it again. I made it for my extended family party. Everyone who ate it said it was super good, moist, and amazing. My friends who I’ve made it for said the same. I can’t wait to make it again. Here is the recipe and instructions to make this delicious white chocolate raspberry pudding cake. Pudding cake is typically is made in a bundt pan but to test to see if it would work, I also made it with a springform and it turned out great! An amazing moist, and decadent cake. It is the perfect mixture of white chocolate and raspberry flavors. In a large bowl, mix together the cake and pudding mixes, sour cream, oil, beaten eggs and water. Stir in the chocolate chips and pour batter into a well greased 12 cup bundt pan or springform pan. Bake for 50 to 55 minutes, or until top is springy to the touch and a wooden toothpick inserted comes out clean. Cool cake thoroughly in pan at least an hour and a half (or put in fridge or freezer). Once cooled, spread the raspberry preserves over the top of the cake. Make the white chocolate glaze and spread that over the preserves. In a glass dish, combine whitechocolate chips, butter, and corn syrup. Microwave for 45 seconds, Stir, microwave another 15 seconds, stir, repeat 15 seconds in microwave and stirring until chips are melted and mixture is smooth, then add vanilla. 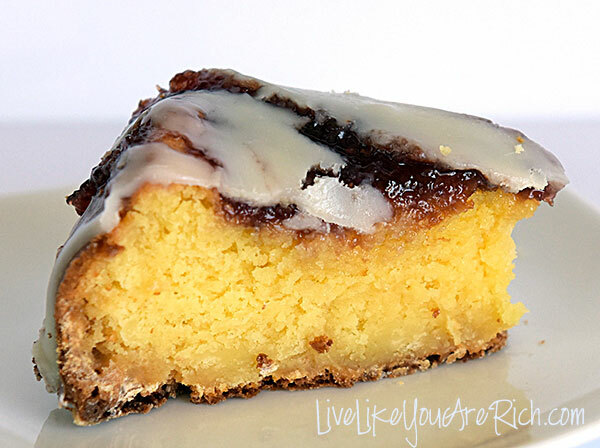 Spread warm glaze over raspberry preserves, letting it drizzle down the sides of the cake. For other ‘rich living’ tips and gourmet recipes, please subscribe, like me on Facebook, and follow me on Pinterest and Instagram. Yummy! This looks so moist and delicious! I’m in for anything with the words white chocolate, raspberry, and cake! We would really enjoy your delicious Pudding Cake, it looks so moist. Hope you are having a wonderful day and thanks so much for sharing your awesome post with Full Plate Thursday! Planning to make this for an office party! When you make the night before serving, do you typically store at room temp or in the fridge? Thanks! I would store it in the fridge! Let me know how it turns out!